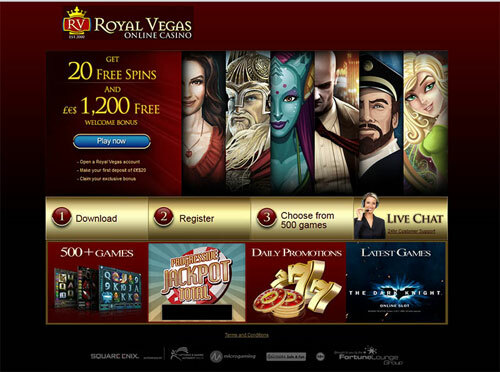 Royal Vegas Casino was founded in 2010, joining an elite group of casinos owned by the Fortune Group and operated by Digimedia Ltd. The site is registered and licensed in Malta. The website is powered by Microgaming (an industry leading software developer), and certified as “safe and fair” by independent testing company eCogra. 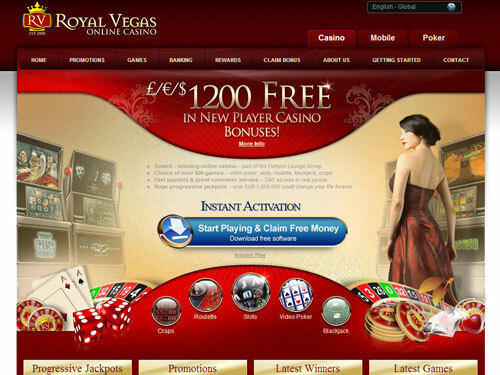 Royal Vegas was recently voted a “Top 10” casino by Online Casino Reports. The website for this “casino only” provider is very well done. The colour scheme and motif are very pleasing, and the site is easy to navigate through an extensive menu. Players from New Zealand and Australia will enjoy this medium variance casino with its estimated 96.4% return across all games. The “new player promotion” offers players up to NZ$1,200 in possible matching bonuses on the first three deposits. Other promotions include a four-level rewards program, weekly promotions and monthly promotions. The site’s banking facility offers over 50 different methods of deposit, including seven methods that give the player an additional “extra bonus” of 10%. There are at least 25 methods of withdrawal. Customer service is available through toll-free numbers, email, fax and an “live Chat” option. What are the most popular games in Royal Vegas Casino? 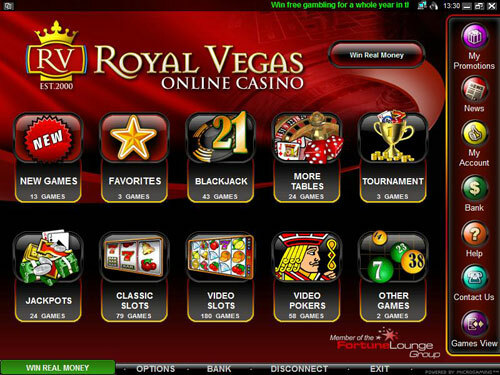 Royal Vegas Casino offers over 500 different casino games including pokies, video pokies, table games, video poker and keno. The pokies and video pokies come from Microgaming’s incredible library of games. Players will enjoy some of the industry’s top games such as Avalon II, Thunderstruck II and Mega Moolah, and top online pokies offering a multi-million AUS dollar progressive jackpot. Popular table games include roulette, baccarat, craps and blackjack as well as several “live dealer” options. The entire library of games is available in download mode, instant-play mode and with a mobile application. $1,200 sign up bonus.Supports mobile play. Parts of the website could be more user friendly in their presentation.